It is time to get serious about this bounty hunter campaign for Edge of the Empire. Scarefest was an absolute blast. I ran a really fun table of the Order 66 podcast‘s Ice Station Zulu, which features the fear check mechanic, and was highly appropriate for a Halloween-themed convention. 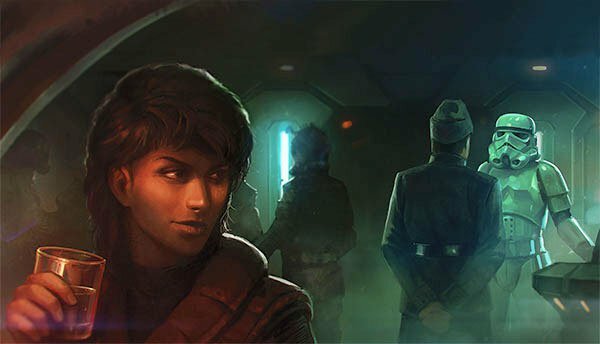 It is a great time to be a Star Wars fan, and there were several gaming buddies I spoke with afterwards about creating a steady game at our Friendly Local Gaming Store, the Wyvern’s Tale. With this in mind, it’s time to detail my plans on creating a round-robin GM, drop-in/drop-out campaign for Star Wars Edge of the Empire. 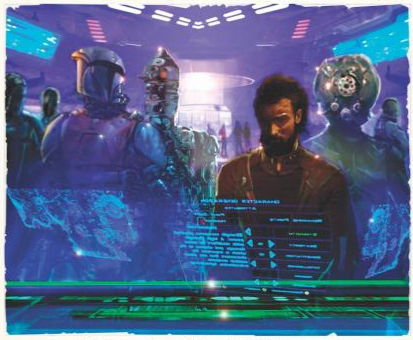 In previous articles, I detailed my inspiration from the non-RPG book The Bounty Hunter Code which I would recommend picking up, at very least until Fantasy Flight releases a proper Bounty Hunter sourcebook (They must be saving the best for last). We also went over building a bounty hunter guild office as a “home-base” for the campaign. In this installment, we will explore building an adventure that can be completed in a nice 3-4 hour block. Some interesting twists when it comes to bounty hunter missions: most pay more if the target is captured, rather than killed. Also, bounty hunters live by a code (on paper, anyway). 1) People don’t have bounties, only acquisitions have bounties. If you have designed an adventure or two, your head is already spinning with the possible plot hooks in just the bounty hunter code. Entire missions could be crafted around any one of these. The book goes in to a lot more detail about each one, and includes little footnotes from prominent hunters like Boba Fett, Greedo, Bossk and Dengar. As bounty hunters are law-enforcement officers of the Empire, it would be common to target members of the Rebel Alliance, and less common for bounties to be issued for Imperials. Beyond that, there are plenty of possible acquisitions that fall in between, such as corporate bounties, private bounties, members of the Black Sun, and Hutt Kajidics. For this article, I’ll detail the main plot points for a fairly straight-ahead bounty with a twist. I would suggest starting small, but allowing for some player-agency on how easy/difficult the mission is based on their choices. While the guild benefits the hunters with steady work, dues must be paid, and specialty equipment rented. It is best to include a variety of encounters, or at least allow encounters to be completed in a variety of ways between space/personal combat, social encounters, and investigation/knowledge skills. For your NPCs you’ll also want a nice mix of lots of minions, a few rivals, and usually one nemesis, who in most cases would be the acquisition. 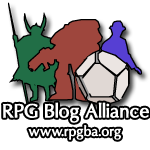 Beyond adversaries, also consider encounter locations, and try to make them memorable as well as potentially hazardous which allows for setback dice and creative narrative use of the setting by the PCs. 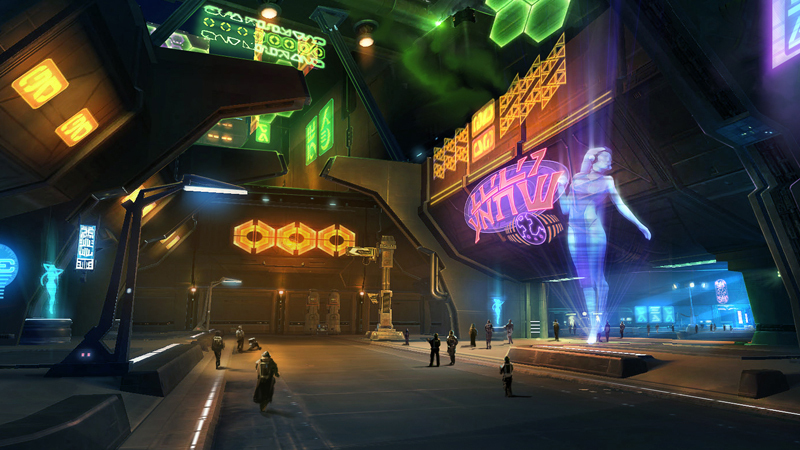 For this mission, the PCs will travel to Nar Shaddaa, the Smuggler’s Moon. Nestled in the heart of Hutt Space, it is a haven for the lawless, and those wishing to evade the Empire. Lords of Nal Hutta has a detailed run down of this particular location, but a brief entry can be found in the Galaxy chapter of the core Edge of the Empire book. I would encourage providing the hunters with a few potential leads, and let them explore in any order they wish. If you like, you can reserve the acquisition for the last scene (regardless of location) or have the target in a set location, and introduce some complications for egress once the team has captured (or killed) their quarry. The following scenes could be completed in any order, and Keth *could* appear in any of the locations. For GMs, I highly recommend picking up the new adversary decks, which makes picking and tracking potential baddies very easy. I will be referring to them heavily throughout this example. Scene I (Orange Lady): This is your typical dive bar. Nearly unlit, except for the neon signs advertising cheap inebriants. The bartender is a muscular Aqualish known as Hopper who may provide some information, for a price. 300 credits will get the team the ID of the warehouse Keth normally operates from (Excellent Charm/Negotiation rolls may modify this). Coercion for this infomation only raises the hackles of the bartender and the security guards (use hired thug stats). If this is the last place they check, Keth may be here with a few members of his gang (2 swoop gangers, and 3 minion street toughs). Otherwise, the party may be able to locate black marketeer, a one-eyed Klatoonian named Horus, if they start asking after long range rifles. The black marketeer will charge a similar price as the bartender for information leading to the rifles or Keth. (If negotiations go sour use Black Marketeer stats, with a similar crew as Keth above). Scene III (Chase or Imperial Entanglements): Ideally, after the first round or two once the party has found Keth, he should try and make an escape to a waiting speeder truck (Trast A-A5 from Edge core book). From here, he can take shots at the party with his prized E-11S from any range (likely trying to disable/damage the PC swoops/speeder). When the PCs get close enough, any surviving gang members who jumped on the truck can take shots as well. It may take a round or two for PCs to either get to their swoops (if they chose to rent them, see Fly Casual) or force-ably procure transportation from the locals (use X-34 from Edge core rules). This may set up an awesome chase sequence through the “streets” of Nar Shaddaa, which will likely attract the attention of local Hutt security forces (use Corporate Sector Authority security police). If the PCs roll really well in one of the previous scenes when they first meet Keth and are able to capture him in either the warehouse or the Orange Lady, I would encourage the GM to include an Imperial encounter. In either scene, just as the PCs are gathering their acquisition have an ISB officer arrive, accompanied by half a dozen scout troopers. (Use Imperial Intelligence Agent, and Scout Trooper.) She will be furious that the bumbling bounty hunters have ruined her month-long operation on Keth, and demand he and his contraband be turned over to her. Convincing her otherwise will take a pretty awesome series of charm checks, and probably a good ploy from the players. Maybe an arrangement can be struck, if she “let’s this one slide” the hunters would owe her a favor. Being in the ISB’s pocket is a dangerous place indeed! Triumph would mean she let’s the party go, but will warn them to tread lightly. Success means she will require a favor from the hunters. Failure means she will require something much more (5 point obligation to the ISB). Despair means she will not allow them to leave with Keth or the rifle (which may result in combat and further implications for the party’s hunting license). Hope you all had fun reading this one, and can use it as a guide to start your own public play bounty hunter’s lodge at your Friendly Local Gaming store. Good hunting! Dungeon Lord! Campaign Websites – Are they right for you?